In Nebraska, it is state law that two pieces of evidence need to be presented and proven before a judge in order for a DUI case to have any weight: that the defendant was in actual physical control of a motor vehicle and that the defendant’s ability to operate a motor vehicle was impaired by reason of alcoholic liquor or drugs. The offices of Greg Nelson are dedicated to defending our clients by using evidence to lay the burden of proof on the State. Here is additional information you should know if you find yourself facing a DUI case. DUI cases can be formed on more than just a field sobriety test. A conviction for a violation can also be presented of a law enforcement officer’s observations of a defendant’s intoxicated behavior. There have been cases where the observations of a law enforcement officer of defendant’s driving are incorrect despite never doing a sobriety test or testing for any drugs or alcohol in the defendant’s system. According to State v. Baker in 1986, evidence was sufficient to find the defendant guilty when he was found parked on the roadway asleep at the wheel and appeared intoxicated when awoken. 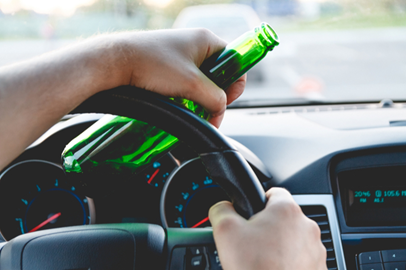 Even if you are off the road and waiting for alcohol to process through your system, it is vital that you appear in no way in control of a motor vehicle. You can still be charged with a DUI if you appear to be under the influence even if you are not quite at the legal limit when taking a chemical analysis test of blood, breath, or urine. This brings up the issue of false positives, which happen occasionally. Medications such as those for acid reflux can flag a false positive, as can your diet (if you are on a low-carb diet or fasting). A breathalyzer test that gives a reading with a margin of error must be adjusted to give the defendant the benefit of the doubt. However, if your record has shown previous DUI offences in the past, that margin of error can be ignored. If you’ve been convicted of a DUI in Omaha, consider the offices of Greg Nelson to take up your case. We will defend you and consider all possible avenues to help you keep your driver’s license and a spotless record. Contact us today.